What is SBI PO cut off? Why SBI PO cut off is important? 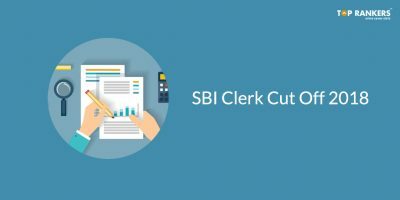 How is SBI PO Cut off Calculated? How many marks to Score in order to clear SBI PO 2017 cut off? 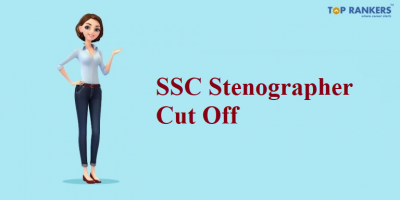 Is Scoring Cut Off marks enough in SBI PO Exam? How to check SBI PO cut off? State Bank of India or SBI is the largest public sector banks in India. Recently, it has gone through merging all its associate banks under the main SBI bank. This will boost its economy and growth. Every year, bank conducts recruitment of Probationary Officers(PO) to select suitable candidates for the management level post. This year, SBI has announced 2313 vacant PO posts. SBI PO prelims 2017 countdown has begun. The prelims exam is scheduled on 29th & 30th April and 6th and 7th May 2017. The most discussed topic now is ‘SBI PO Prelims cut off marks’. 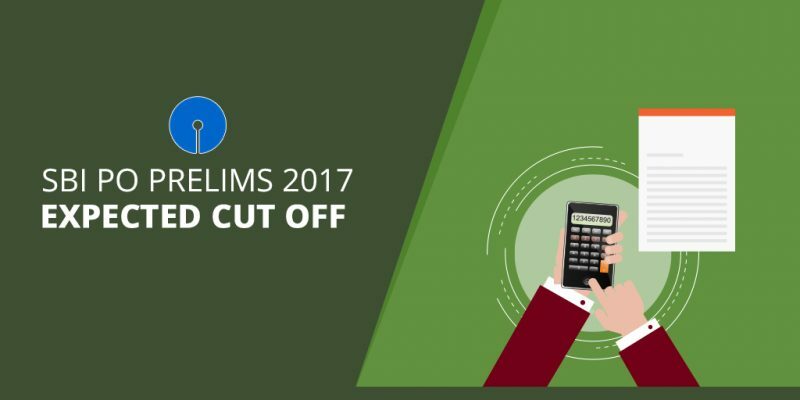 Candidates are busy in searching the previous years SBI PO Prelims cut off marks and making predictions about SBI PO prelims 2017 expected cut off. 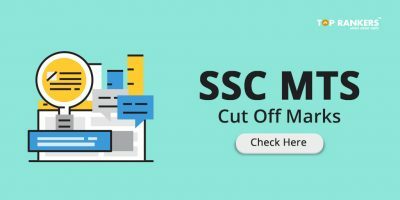 In this article, we will analyze the previous year’s SBI PO cut off marks and try to figure out the expected cut off marks for SBI PO Prelims 2017 exam. SBI PO cut off is the minimum marks required to be scored in order to qualify for the next stage. The cut off will be decided for each qualifying stage such as SBI PO Prelims cut off , SBI PO Mains cut off & SBI PO GD & interview cut off etc. The cut off will be applied to each section as well as overall marks. A method called ‘Equi-percentile‘ method is used to decide the final cut off. In the previous year (SBI PO 2016), approximately 25 lakh candidates appeared for the prelims. Depending on the number of vacancies, the SBI decides the cutoff and it is usually 20 times the number of vacancy. The number of vacancy for the SBI PO in the previous year was 2200. You can check here previous year 2016 section wise & category wise cut off marks. 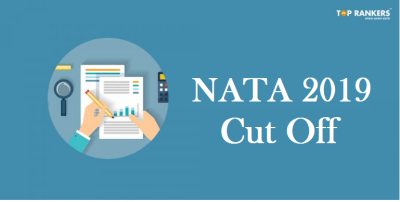 You can check here previous year 2016 Overall category wise cut off marks. This year approximately 30 lakh candidates are expected to take the SBI PO exam. The number of vacancy for SBI PO 2017 is 2313. Therefore, around 50000 candidates are expected to be shortlisted for the Mains. Based on the previous year’s cutoff (the number of vacancies is almost similar), this year’s cutoff for the general category is expected to be 47.50 and lesser than this for the candidates from other categories. Get here Expected Cut off marks for SBI PO Prelims 2017 exam: Category-wise. Try to score about 10 marks in each section and better to score near 15 to be on a safer side to be able to clear the SBI PO cut off marks easily. The answer is NO. SBI calls around 3 times the aspirants for Group Discussion & interview. This indicates that every year more than half of the aspirants after getting an interview call are still not able to make it to the final SBI PO List. Most of the cases, these are those candidates who cleared the SBI PO cut off just on margin. 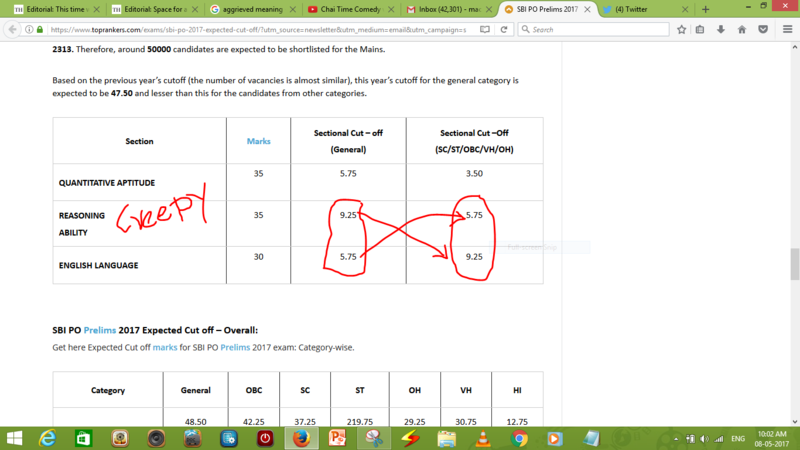 Choose the link for SBI PO Cut Off of Prelims. Enter your login details such as Roll /Registration Number and Password. You will get the answer key and cut off marks. We wish all the aspirants good luck for the exam! ha ha ha ha ha……………………….